‘Tis the season and Hotel Husafell is sparkling with holiday magic. 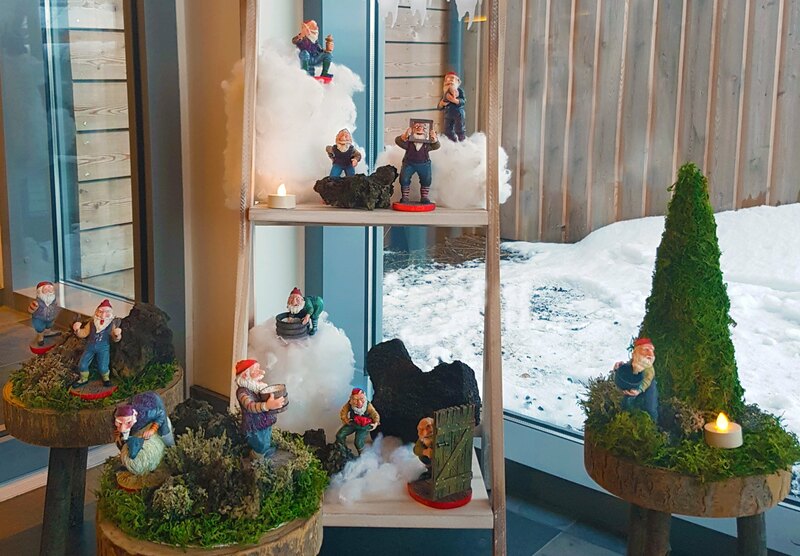 We’ve dressed up the hotel with traditional jolaskraut (holiday decorations) and figurines of Iceland’s famous 13 Christmas Lads. These mischievous fellows will begin descending one-by-one from the mountains beginning on December 12th until Christmas Eve. According to tradition, Icelandic children place a shoe in their bedroom window each evening in the 13 days before Christmas. Every night one Yuletide Lad visits and leaves a small gift or sweetie in their shoe. Guests of Hotel Husafell will partake in this favorite tradition and get their own holiday treats from the Icelandic santas! Every night beginning on Dec 12th we hang a festive bag on the doorknob of each guestroom and fill it with a small surprise and letter describing the Yule Lad of the day. Each of the 13 elfin brothers has a unique personality and Christmas quirk – usually surrounding food. Skyr-Gobbler can’t get enough of Iceland’s protein-rich yogurt while his brother Sausage-Swiper is crafty at making meaty sausages disappear. Visitors love learning about Iceland’s unusual holiday folklore which includes a terrifying ogress named Gryla and her giant killer Christmas Cat who eats children if they don’t get new clothes as a Christmas gift. Only in Iceland! 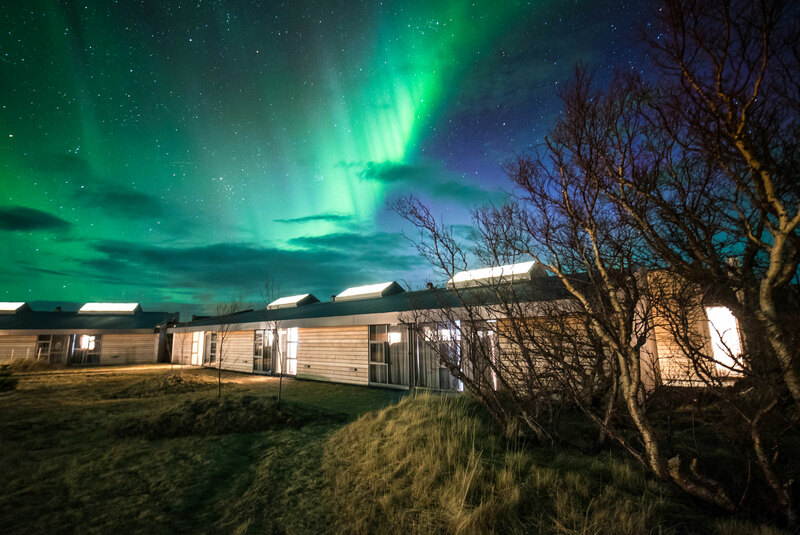 Visitors to Hotel Husafell can experience a taste of Icelandic Christmas in our fine-dining restaurant serving up a five-course holiday menu of local favorites enjoyed at this time of year. 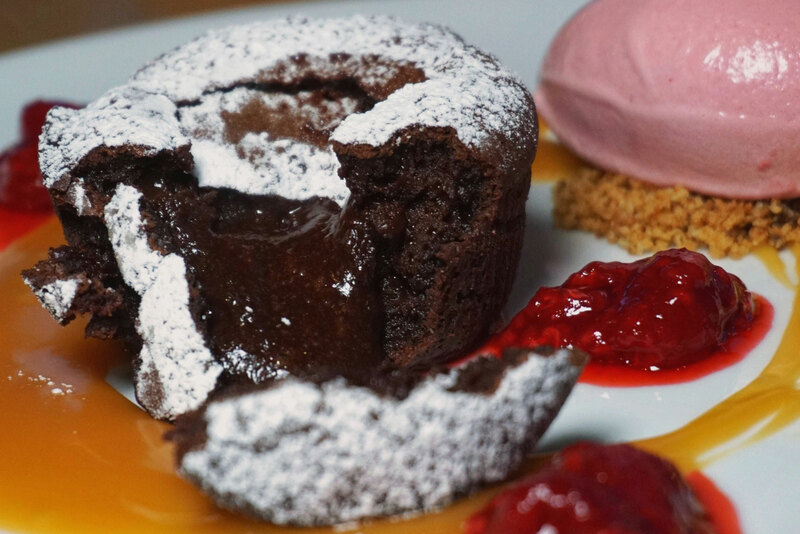 From smoked goose and reindeer pate to salmon tartar and Beef Wellington, everyone leaves the table satisfied. In the spirit of the season we’re offering a Holiday Flash Sale you don’t want to miss. Travel is the gift you give yourself! And Hot Springs Blow Over Christmas Snow.